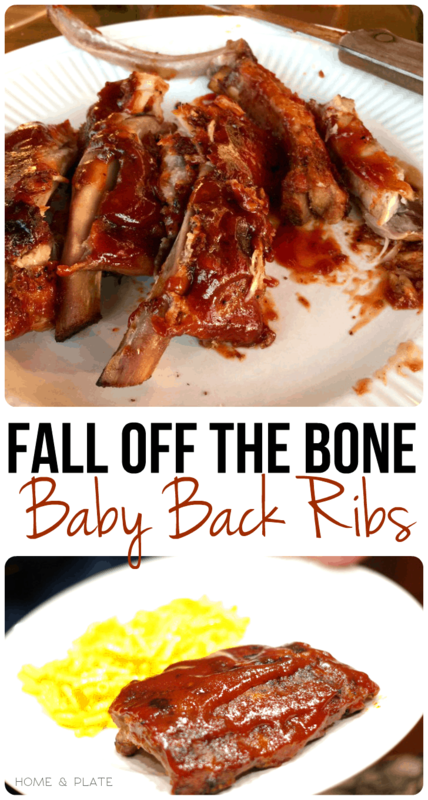 What’s the secret to your fall off the bone baby back barbecue ribs? It’s a question I get asked all the time. My baby back ribs have even been ruled the winner in a friendly neighborhood party barbecue rib cook-off. They are blue ribbon. I kid you not. I serve these tender, meaty, finger-lickin’, sweet and tangy baby back pork ribs all year round. I am happy to share the recipe because delicious food should be shared. The secret is an ice cube. The ribs are baked first in foil packets each containing one ice cube. 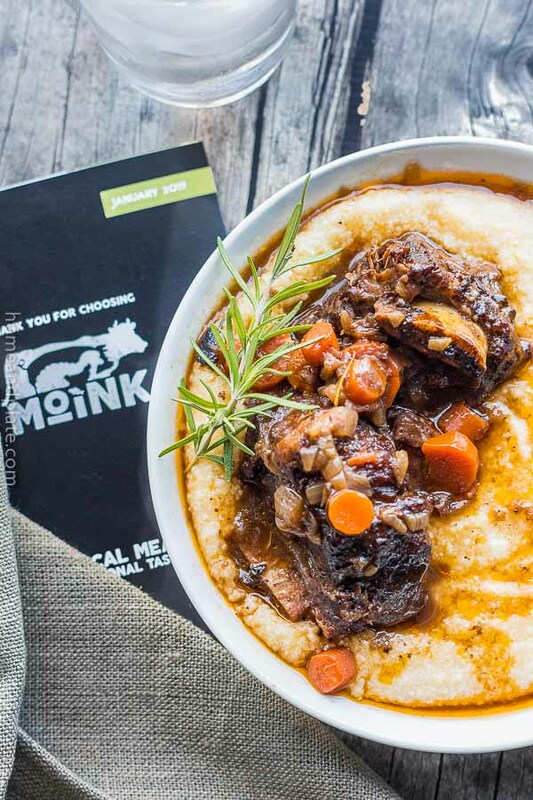 The ice cube creates a steam bath for each packet resulting in tender, fall-off-the-bone, delicious pork. After spending time in the oven, the ribs finish off on the grill. We slather on our favorite topper – Montgomery Inn barbecue sauce. These ribs are finger licking good so make sure you have plenty of napkins. The basic barbecue rub I make to coat the meaty tops of these delicious ribs is no secret. I promise, you will use this rub recipe on so many dinners because it adds the right flavors of salty and spicy to ribs, chicken and more. It’s grilling season so make sure you are firing up that grill and using it all season long. See you Friday! 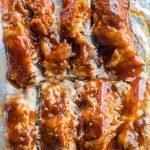 These oven baked barbecue ribs are fall off the bone delicious and are hands down the best way to enjoy summer! When preparing the ribs, cut each rack into three sections to individually wrap in foil. Be sure to remove the silver skin from the back of the ribs before sectioning if necessary. This is where the ice cube comes into play. Add one ice cube to each rectangle of aluminum foil and place each rib section on top of the ice cube. 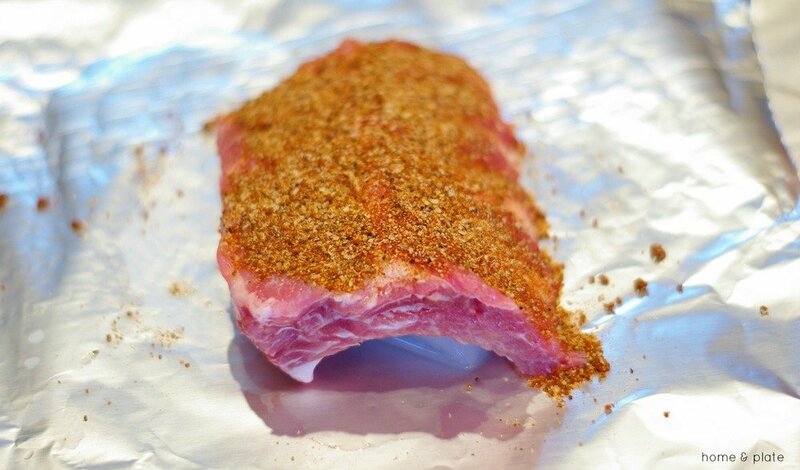 Season each rib section with dry rub and fold up each piece of aluminum foil into a tight packet. Place each packet on an aluminum foil covered rimmed cookie sheet. Bake for three hours at 250°F. Then remove the ribs from the oven and let them sit for about a half an hour. Now the ribs are ready to go on the grill. 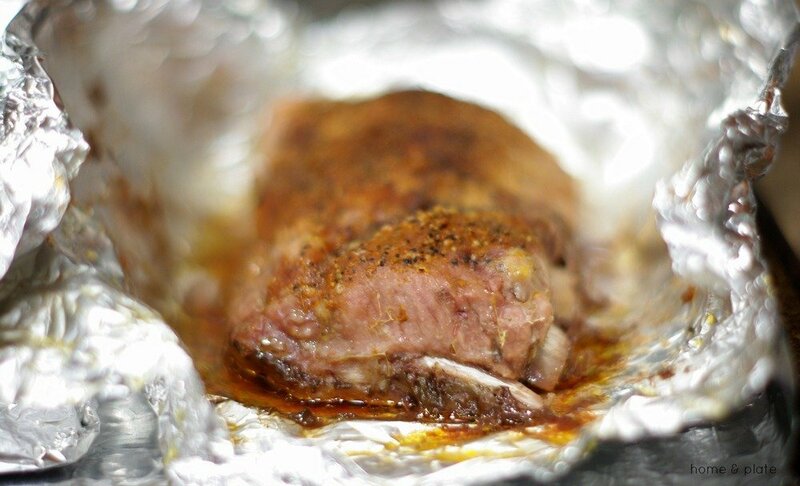 Remove the ribs from their foil packets and place on the grill at medium heat. Brush on your favorite barbecue sauce and grill for about 8-10 minutes flipping and reapplying barbecue sauce. These are the definition of a perfect warm weather meal! I would agree. This is perfect summer bbq food. 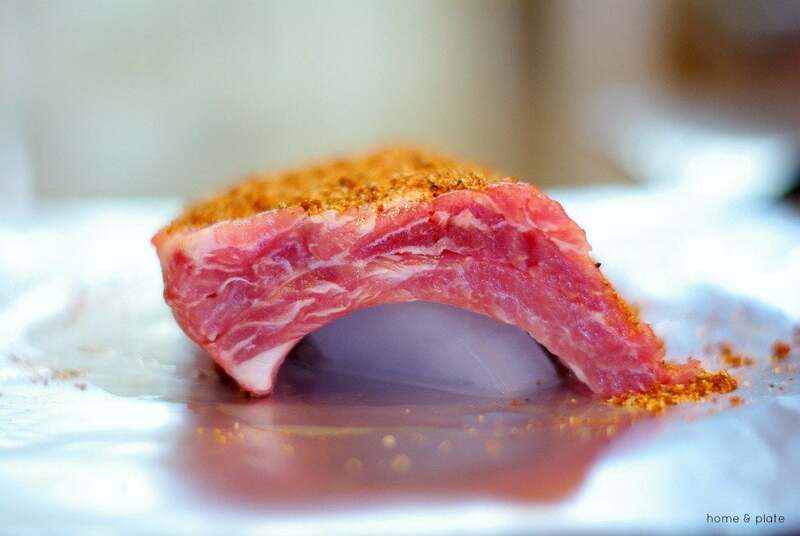 We get all of our meat from a local farmer and he has ribs – I will get some and try this one!